Do I Have Dehydrated Skin? What Does A Moisturizer Do? What Does a Hydrator Do? In the skin care world, there are many different products to choose from. Each one is used to treat a myriad of skin concerns, from producing too much oil, to preventing wrinkles, or even helping to enhance your natural glow. Every product has a different function and name, for example, a cleanser is meant to remove dirt, makeup, excess oil and other impurities from the face. So, when it comes to products with names so similar, like hydrators and moisturizers, is there really a difference? Although moisturizers and hydrators are often used interchangeably, they are meant for separate skin concerns. Moisturizers aid in treating dry skin, while hydrators can help dehydrated skin. Though this sounds like the same thing, they are very different. Let’s talk about how these products treat these skin concerns and how to tell if your skin is dry, dehydrated, or both dry and dehydrated – yes that’s a thing. We will also get into the real difference between hydrators and moisturizers, so the advertisers will no longer fool you with their misleading language. Bonus, I have included my favorite moisturizers and hydrators to get you started on your search. Are you ready to dive in? You probably came to this article because you noticed that your skin was feeling and looking dry/dehydrated. Well, the initial step in choosing the correct product is investigating if you have dry or dehydrated skin. It is like being Sherlock Holmes for your face. First, let’s quickly talk about what is dry skin and dehydrated skin. Dry skin is a skin type that is caused by a lack of sebum, also known as oil. The skin becomes dry if it is unable to produce an adequate amount of natural oils that are necessary to retain moisture on the skin. This can occur due to genetics, hormones, environmental factors, or age. It is common for elderly people to develop dry skin. As we grow older, our skin is unable to hold as much moisture. You may notice that you have dry skin on other areas of your body, not just on your face, such as your scalp, legs, and hands. Those with dry skin are more susceptible to early signs of aging. Sensitivity is also more common for those with dry skin. This is because the natural oils that our body produces help to act as a natural barrier against environmental stressors. The natural barrier that protects skin is known as the lipid barrier. The lipid barrier is essential to your skin’s health. It is what keeps the moisture and other good stuff in, and the bad stuff out. [box type=“bio”] Lipids are a chemical molecule or compound that is not soluble in water. There are various types of lipids, such as fatty acids. Lipids are an essential component of skin cell communication. They create the barrier that binds the skin cells together. The lipid barrier is the outermost layer of the skin that provides further protection against environmental stressors and other external irritants that could potentially cause irritation, sensitivity, or damage. The lipid barrier also aids in helping your skin hold water and moisture. When the lipid barrier is strong and working properly, it keeps the skin feeling soft, balanced, and healthy. You can tell if your lipid barrier is intact because your skin will feel smooth, and look refreshed. When a lipid barrier is damaged small cracks are created on the skin that are not visible to the naked eye. These cracks allow moisture to escape and make it easier for irritants to enter. Signs of a damaged lipid barrier include skin sensitivity, tightness, dryness, redness, dehydration, and flaking. Water loss is more likely when the lipid barrier is damaged, which can lead to dehydrated skin. Lipid damage can occur if you have dry skin or dehydrated skin. Dehydrated skin is a skin condition that is caused by a lack of water content in the skin. The technical term for dehydrated skin is transdermal water loss. Unlike dry skin, dehydrated skin is considered a skin condition and not a skin type. Dehydrated skin isn’t always consistent. Someone with dehydrated skin may have symptoms of dehydrated skin one day and then have their skin feel normal the next. This is because of the many factors that can cause dehydrated skin. These factors include your diet, environment, skin care, makeup, lack of sleep, caffeine, and other factors that could damage your skin’s moisture barrier. Although dehydrated skin lacks water and may seem dry, the skin can still produce oil. That means that dehydrated skin may occur with any skin type. It is possible to feel oily and dehydrated at the same time. Sometimes the body will overproduce oil to attempt to balance the lack of hydration in your skin. Dehydrated skin is more common than dry skin, since there are many different reasons for it to occur. Using a hydrator replenishes water and hydration to the skin. To maintain water in the skin and keep it hydrated you need lipids. This means that your skin needs to be producing enough natural oils on its own or replenishing oils from moisturizers. This means that if you have dry skin, you are more susceptible to having dehydrated skin as well. The confusion between dry and dehydrated skin still stems from their similar appearances. At first glance, both skin issues seem to be the same. They both may feel uncomfortable, itchy, tight, and you may notice your complexion is dull. Both usually result in flaking of the skin as well. Although there are some things that are similar about dry and dehydrated skin, they do each have their own unique characteristics. There are a few clear signs that you have dry skin. One is the way that your skin feels. Dry skin can feel very uncomfortable and taut. Although both skin issues are prone to flakes, dry skin usually has more noticeable flaking. Also, if you have dry skin, you will typically have medium to small pores, which isn’t necessarily a bad thing. Due to the lack of oil production, the follicles do not have a chance to stretch out the pores. Minimal breakouts are also common for those with dry skin. Oil is one of the fundamental causes of acne. Even if you have had acne when you were younger, your skin type may have changed as you have become older. Having the occasional hormonal breakout is normal, even for those with dry skin, as that is a different type of blemish that can occur at any age for any skin type. There is another way to tell if you have dry skin for those that have a medium to deep skin tones. Dry skin can make these darker complexions appear ashy due to the lack of oil. You may also see that your makeup will stick to very dry patches. Your foundations may appear flat and cakey, due to the lack of natural oils on your skin. The lack of oil also makes our dry skin pals more prone to sensitive skin. 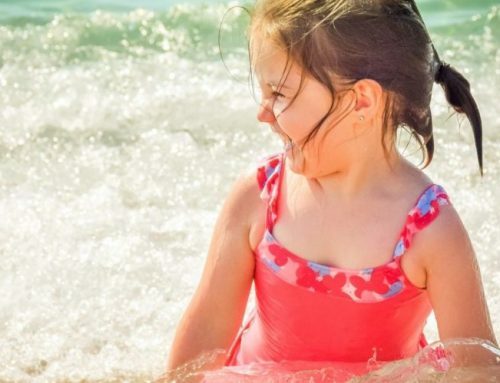 Sensitivity may lead to inflammation that could cause a biochemical reaction. This reaction may lead to collagen and elastin breakdown in your skin, which takes a toll on your youthful appearance. This is because the natural oils that your skin produces act as a natural barrier to protect your skin from environmental stressors. Dry skin produces little to no oil and does not retain water or moisture easily. Without oil or lipids, the applied water will evaporate and take any existing moisture in the skin with it. Remember, dry skin is a skin type and occurs due to environmental changes, hormones, or genetics. This means there is no “quick fix” to dry skin. Don’t let that frustrate you. There are still plenty of moisturizers that are meant to aid in repairing your skin and helping you to look refreshed and healthy. Figuring out if you have dehydrated skin is as easy as noticing some tell-tale signs. Dehydrated skin can happen to any skin type, making it possible to have dehydrated oily, combination, dry, sensitive, or normal skin. For example, if you notice your skin is oily and flaky, this is because your skin is dehydrated. Your body is trying to hydrate your skin by producing more sebum/oil, since it is not retaining enough water. It is also common for those with acne prone skin to have dehydrated skin, due to the harsh products used to fight acne. This is why it is important to treat your skin with care and choose products with ingredients that won’t strip your skin of its protective barrier. Tight skin that is shiny without any noticeable oil present is another sign of dehydrated skin. A few other characteristics of dehydrated skin include scaly texture, exaggerated fine lines, pronounced wrinkles, amplified dark circles, and you may even notice new temporary “wrinkles” appearing. A good test to tell if your skin is dehydrated is to look in the mirror and pinch your cheeks. If you notice that your skin gently wrinkles as you let you go, your skin is probably dehydrated and it is time to treat it with a high-quality hydrator. Now that you know how to decipher what your skin is going through, you may be wondering how to treat it. Well, that is where moisturizers and hydrators come in. Each of these products is meant to treat or aid in treating these skin concerns. But what exactly does each one do? Moisturizers help to correct the lipid barrier to restore a healthy moisture balance. These products work more topically, unlike hydrators that work deep within the skin. A moisturizer will help to “trap” your skin’s natural oils and maintain a healthy balance. The ingredients will stay on top of the skin to form a protective layer that dry skin cannot naturally produce, as it does not create enough lipids to form a barrier on its own. Products meant for dry skin are made with emollient ingredients. Emollients are moisturizing components that soften and smooth the skin. Just keep in mind, emollients do not penetrate as deep when compared to humectants. Moisturizers are typically formulated with at least 25% of various oils, to help maintain a healthy barrier on the skin. They are also usually oil or cream based and filled with additional nutrient-rich oils. A hydrator is formulated to work deep within the skin to help treat dehydrated skin. The main goal of a hydrator is to replenish the water that your skin is missing or has lost. These products are usually formulated with ingredients known as humectants. Humectants that are from hydrogen bond with water. When humectants are found in skin care, they increase the water content in the skin. They do this by grabbing moisture from the air, as long as humidity is above 70%, and then bringing it deep into your skin’s layers. Hydrators will typically contain less than 5% of oil in their ingredients. They are usually a lighter consistency, such as a serum, light lotion, or gel, when compared to moisturizers. Hydrators are often clear in color due to their high concentration of hydrating ingredients. When looking for a quality moisturizer, consistency is key. Look for products that are filled with nutrient-rich oils. Moisturizers are usually formulated as oils, thick creams, or balms. Ceramides are great for dry skin and definitely an ingredient you want to see in your moisturizer. They are found naturally in the skin to create a natural barrier that strengthens skin cells to stop flaking. Ceramides are made of lipids that work as the skin’s protector against environmental stressors and balance moisture levels. 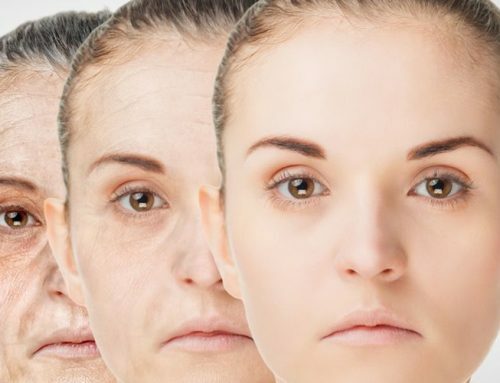 As we age, our ceramide levels decrease. Other emollient barrier repairing ingredients to look for include shea butter, jojoba oil, sweet almond oil, and argan oil. Some of these emollients are considered occlusive. This means that they create a barrier to prevent water from being lost. Occlusive emollients may also lead to breakouts, so you may need to experiment before you find your perfect skin care products. When looking for a great hydrator to purchase, there are certain ingredients that you want to keep an eye out for. As I mentioned above, you want to look for humectants, as they are great for dehydrated skin. Some common humectants found in hydrators include aloe, honey, and seaweed. Hyaluronic Acid and glycerin are key ingredients that help to attract and hold water in the skin without causing excess oiliness. Also, hyaluronic acid is able to hold around 1000 times its molecular weight in water. Sodium hyaluronate is another great ingredient. It is a salt of hyaluronic acid with a lower molecular size for maximum absorption. Other ingredients to look for include alpha hydroxy acid, collagen, and sodium PCA. Also, look for products that are non-comedogenic, as they are not meant to clog your pores. This will allow water to soak in and hydrate your skin. It is also a good choice for those who produce a lot of oil. TIP: If you have dehydrated and dry skin, you can use both a hydrator and moisturizer. Just be sure to apply the products in the correct order. A hydrator should be applied before a moisturizer. This is because oil and other emollient ingredients can penetrate the hydrator ingredients, but the hydrators do not penetrate moisturizers very well. 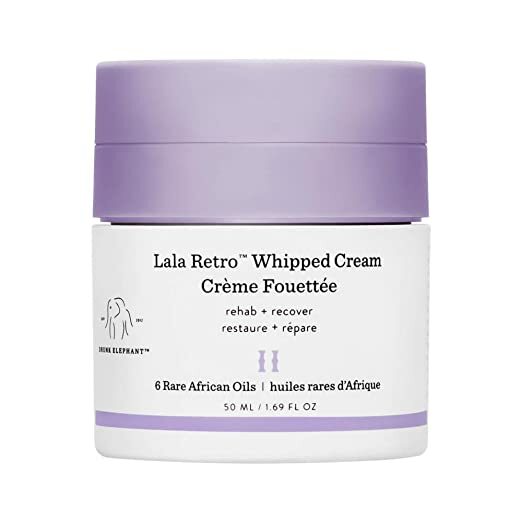 The Drunk Elephant Lala Retro Whipped Cream Anti-Aging Moisture for Dry Skin is formulated with a mix of six different African oils and other ingredients to help rescue your dry skin. This moisturizer has a thick, creamy consistency that absorbs quickly into the skin without feeling too heavy. It has omega acids to help replenish lipids lost in dry skin. Plantain extract is also on the ingredients list for its skin brightening abilities. Green tea is included for its antioxidant properties. This cream is fantastic for dry skin. It is even made without fragrances, gluten, essential oils, and silicones. This luxurious face oil is has got it all for dry skin. It helps to replenish moisture to diminish dry skin and its symptoms. This oil will also leave your face feeling soft and smooth. You may also notice that your fine lines and wrinkles are reduced while using this oil, as it is filled with beneficial ingredients like vitamin E. The Amaki Oil also gives you a gorgeous dewy glow, helping you look youthful and refreshed. This is always nice, since dry skin can make your complexion look dull. This oil blend also has argan, neroli, lavender, chamomile, sunflower, jojoba, and many other oils to nourish and moisturize your skin. If all these oils scare you, don’t worry. The Amaki Japanese Tsubaki Beauty Face Oil is fast absorbing. So, you aren’t left with an oily looking complexion, just a naturally dewy glow. Looking for a supercharged moisturizer? Look no further. 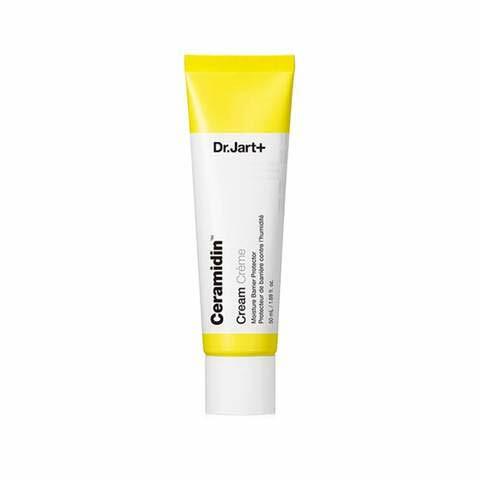 This cream from Dr. Jart is filled with their 5-cera complex, which aids in visibly strengthening and protecting the skin from water loss. It is a great buy for those suffering from dry skin due to environmental stressors. It can help to treat the uncomfortable dryness and itchiness that comes with dry skin. This cream also helps with the loss of elasticity and firmness that can occur as we become older. The Ceramidin Cream also has a nice soothing spa-like scent. Neutrogena is known for their budget-friendly skin care products and the Hydra Boost Water Gel is no different. Hyaluronic acid is the star hydrating ingredient in this product. As mentioned above, it can hold 1000 times its weight in water. The gel consistency feels lightweight on the skin, while still providing the hydration that you need. This intense hydrator is meant to be used daily and is non-comedogenic, fragrance-free, and oil free. The formula absorbs quickly and works well as a base for makeup, while still providing hydration for your skin all day. This product is a must-have in the beauty community! It is a staple in makeup kits of famous make-up artists everywhere. Why, you may ask? To kick dehydrated skin to the curb with one simple product. This miracle cream provides hydration for 24 hours. It also is a multitasking product — which you know I love. It can work as a primer, hydrator, and makeup remover. It has powerful, yet simple, ingredients that work to replenish your dehydrated skin and bring it back to life. First Aid Beauty created this great water-based serum that helps provide hydration for all skin types. When used daily it helps dehydrated skin become balanced, soft, smooth, and more refreshed. Using a serum to replenish hydration helps to keep skin balanced without becoming oily. This lightweight serum is filled with plumping hyaluronic acid to lock in moisture. Aloe is also included to help soothe any irritation on the skin. It even has peptides that help to reduce signs of aging, like fine lines and wrinkles. 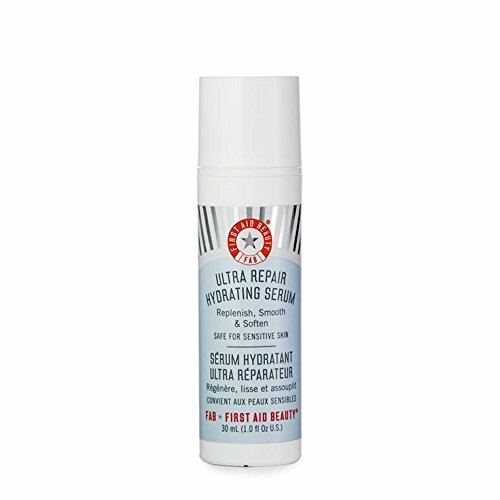 The Ultra Repair Hydrating Serum also has collagen, oatmeal, and colloidal. The formula is paraben and sulfate free, making it even better for your skin. Well, now the mystery is solved of what is a moisturizer and hydrator. Case closed. We even got to the bottom of what the difference is between dry and dehydrated skin. Although both “moisturizer” and “hydrator” sound similar, they are different products, used for different skin concerns. Moisturizers are used for dry skin that lacks oil and hydrators are used for dehydrated skin that lacks water. As long as you use moisturizers and hydrators correctly, your skin will thank you. Are you interested in learning about exfoliating your skin? read this post! Do you have dry skin, dehydrated skin, or both? What are your favorite products to use? Let us know below.